It’s time again for me to pretend I’m a food blogger and review my weekly Marley Spoon, Food Subscription. If you’d like to try it out yourself, use the coupon code COOKSMART for $30 off. My meal plan is for a weekly delivery of 2 meals (2 portions each), which costs $48. Marley Spoon delivers great fish and I love Asian flavors so I thought I’d give this a shot. 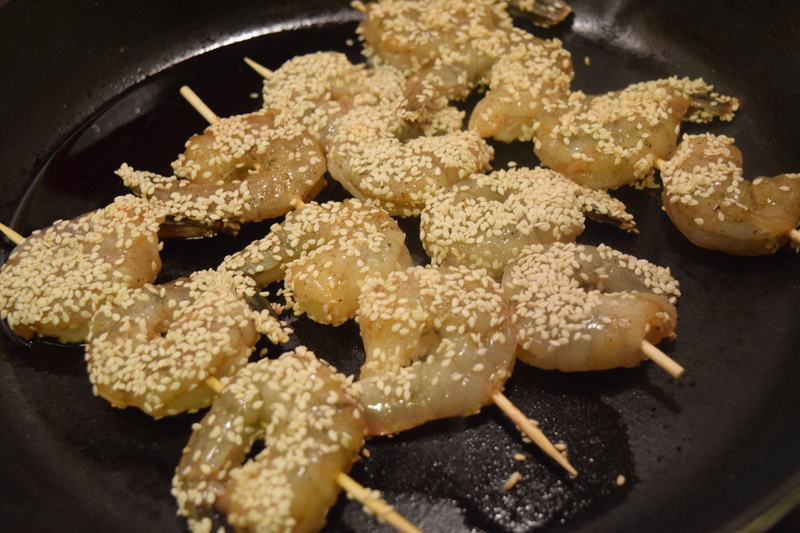 So you have to marinate the shrimp skewers, cover them in sesame seeds, then cook them in a skillet. 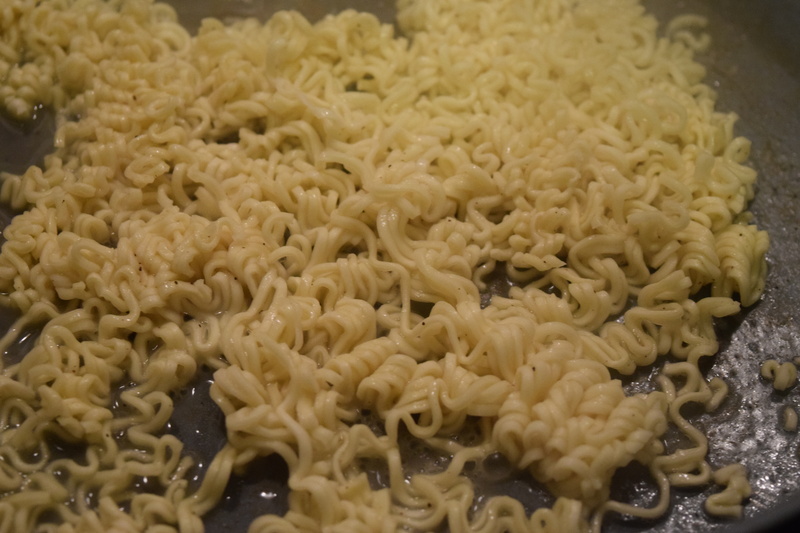 Then in another pan you cook the ramen. 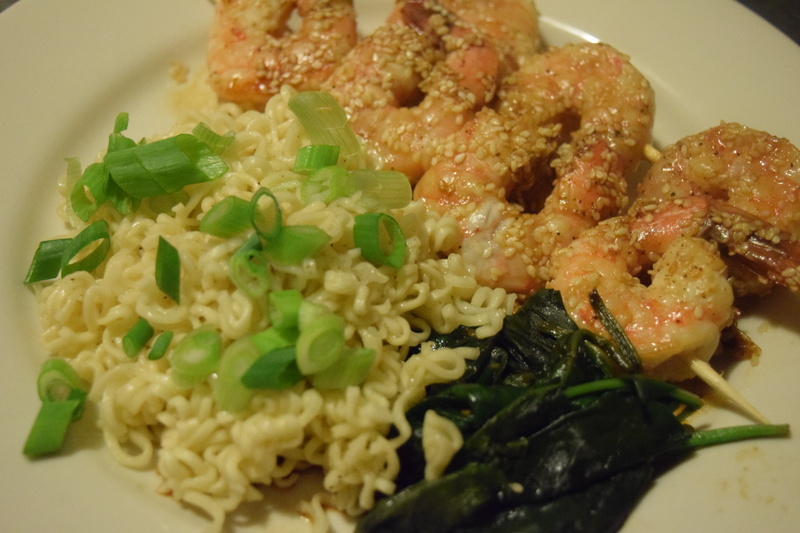 Then you wipe out your shrimp pan to wilt some spinach. The taste on this was decent but the recipe seemed unnecessarily convoluted. 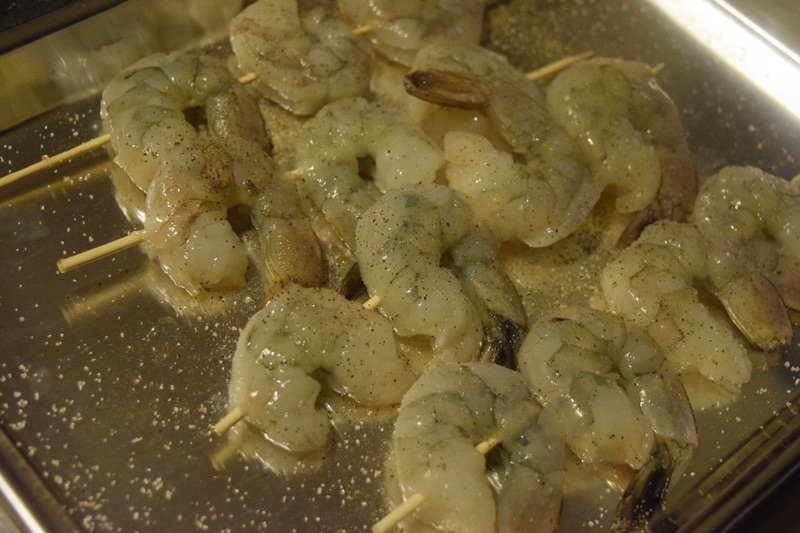 The sesame seeds are fussy to coat the shrimp with and I can’t see why it wouldn’t be easier to just toast the seeds then sprinkle them on the finished skewers. Having two pans (one that you have to wipe out) for what is essentially a simple ramen dish seems excessive to me. I think marinating and roasting the shrimp in the oven and then making the remaining portion in one pot would have been easier. Also, the spinach portion on this was way small. I know it shrinks down but the dish really needed a bit more. Good for Entertaining? : No. The flavors didn’t wow me and the prep is too fussy for the finished product. 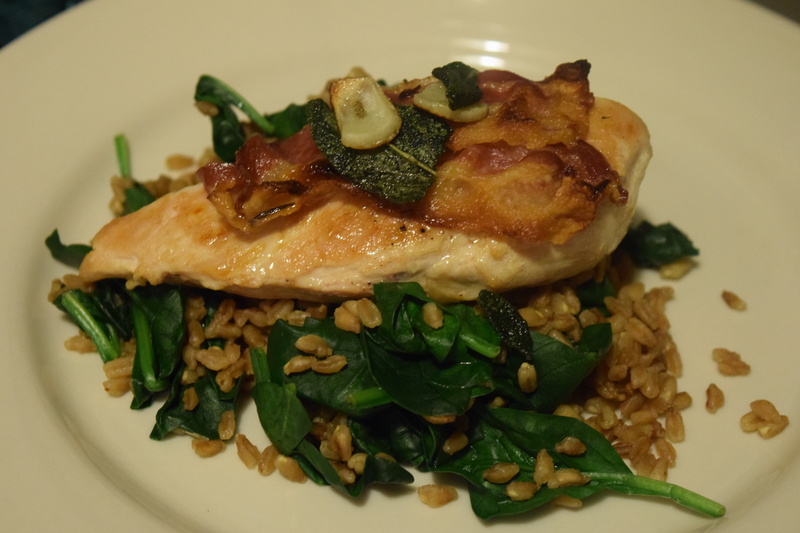 I’m always up for new chicken dishes and I’d never tried Farro before so I gave this a shot. Houston, we have problem. So I’m supposed to get two nice, easy to cook portions of chicken. 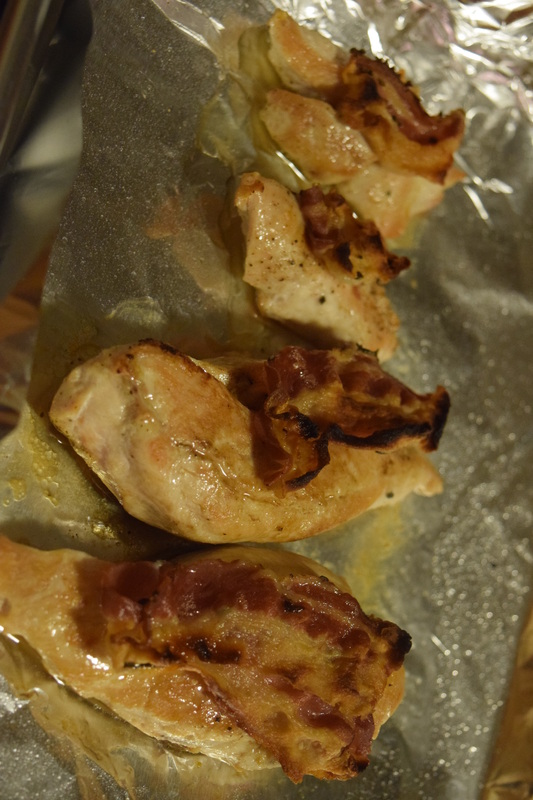 What I get instead is one chicken breast that I now have to cut up to properly that will give me two even portions that are able to be topped with Pancetta. Cue my unhappy face. 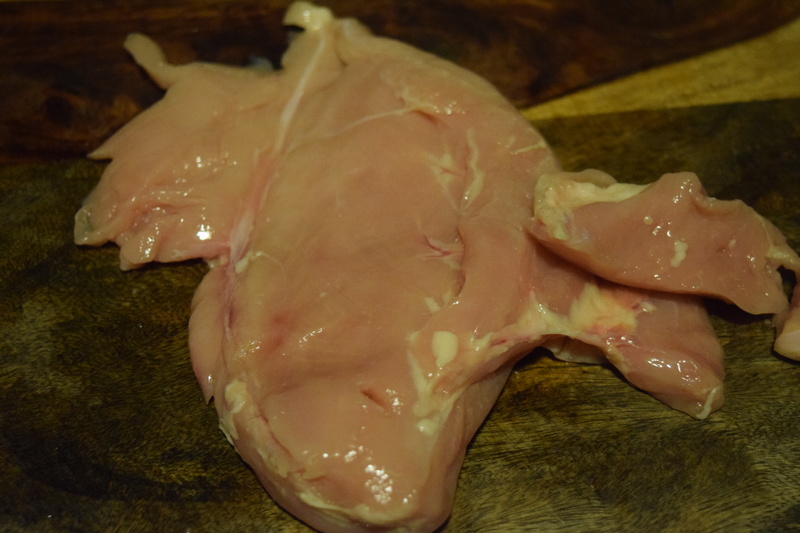 Now, if I had to dice this up it would be no problem, but I’m not great at cutting up chicken and making it pretty and this has small bits hanging off and a decent amount of fat. When I’m done, I end up one normal serving and a medium size one and then two little extra bits. Sigh. 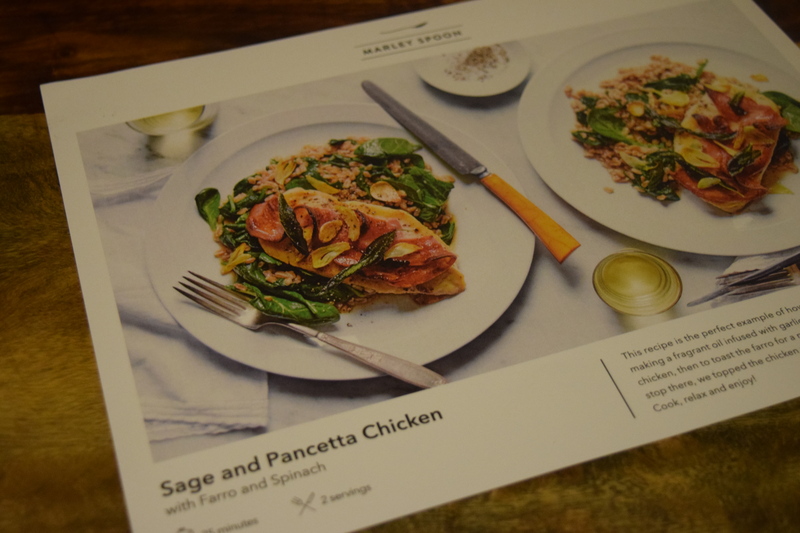 This recipe calls for making garlic sage oil, cooking farro and adding baby spinach, then topping with our “crispy sage and garlic”. I didn’t really get much flavor from the garlic sage oil and topping it didn’t do much for the dish. It’s just an extra unnecessary step. I contacted Marley Spoon about the error with my meat and they gave me a credit for half the cost of the box, but still pointed out I go the same amount of chicken, just in one breast instead of two. Apparently Marley Spoon expects me to be a better cook than I am, but sadly, my knife skills are not up to par. I really enjoyed the farro and I find that I like it much, much better than quinoa. I’ll definitely be trying out some other salads and recipes that feature it. Good for Entertaining? : Nope. Not interesting enough. Both these dishes were fine, but the flavors weren’t amazing and both had what I feel are overly fussy and unnecessary steps. Despite getting the wrong cut of chicken, I did enjoy trying out the farro so I still got a good experience out of this box. 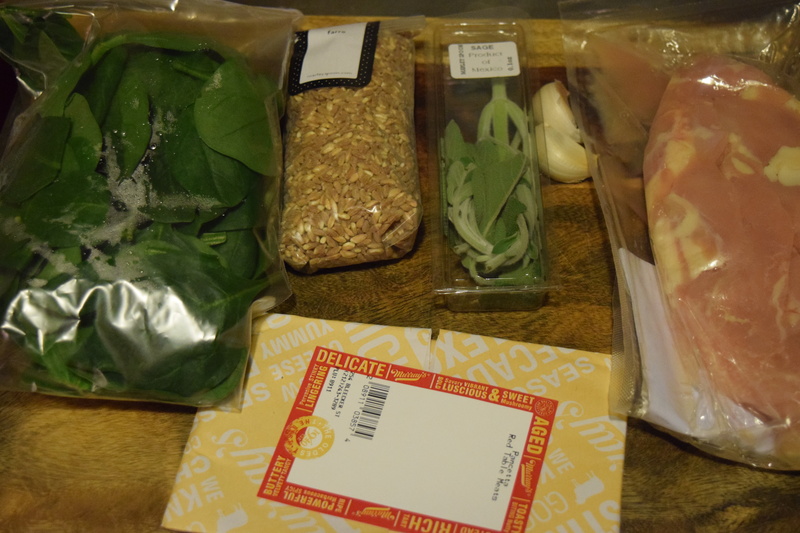 Have you ever tried a fresh meal subscription service? If so, what did you think? Marley Spoon creates delicious, easy to follow recipes. They deliver fresh, pre-portioned ingredients and you select your recipes from their changing weekly menu. They are dedicated to sourcing organic and sustainable whenever possible. Building relationships with environmentally aware farms and producers ensures that the highest quality ingredients arrive at your door each week. Using trusted delivery partners, your Marley Spoon boxes come insulated and chilled, staying cool for 30 hours! After delivery, all the ingredients are guaranteed to stay fresh for up to 4 days – allowing you to decide when to cook. Marley’s Spoon donates any leftover ingredients to City Harvest. City Harvest exists to end hunger in communities throughout New York City through food rescue and distribution, education, and other practical, innovative solutions. Each week you’ll automatically receive great dishes, but as a flexible subscription, you can skip a week or pause your subscription anytime. You can also change delivery frequency, recipes, and the number of portions you’d like to receive. Marley’ Spoon delivers to the mid Atlantic and New England regions: most of New York, New Jersey, Connecticut, Pennsylvania, Rhode Island, Massachusetts, Delaware, Maryland, West Virginia, and Washington D.C.
Varies by number of servings and number of meals. 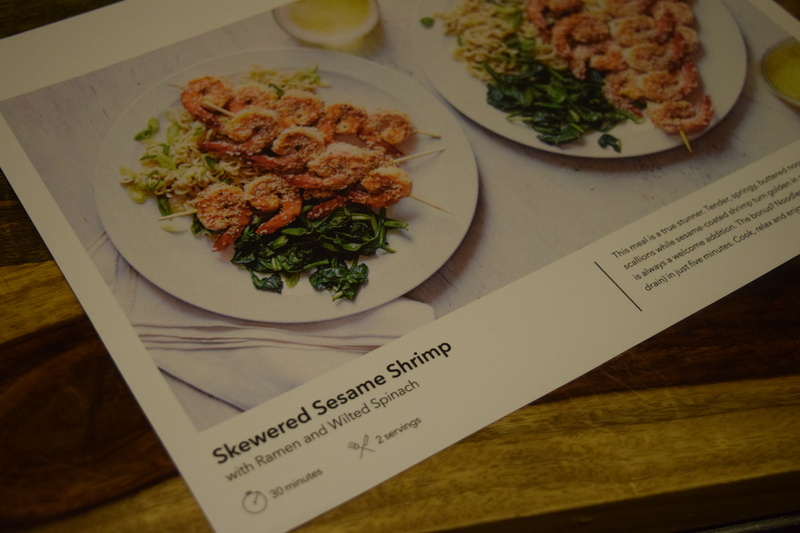 Wow…I know both dishes that I would eat myself but the steps are not very well planned 😦 And why do you need to “wipe out” the shrimp pan..I seen cooks remove the shrimp and add the spinach for a “One Plan” deal! And the sage and garlic combo sounds like a waste of good seasoning…I would have chopped up the sage & garlic, add to oil, and rub that chicken breast with it! But that’s just me as a humble home cook and I definitely don’t blame you but the writer of those “recipes”! 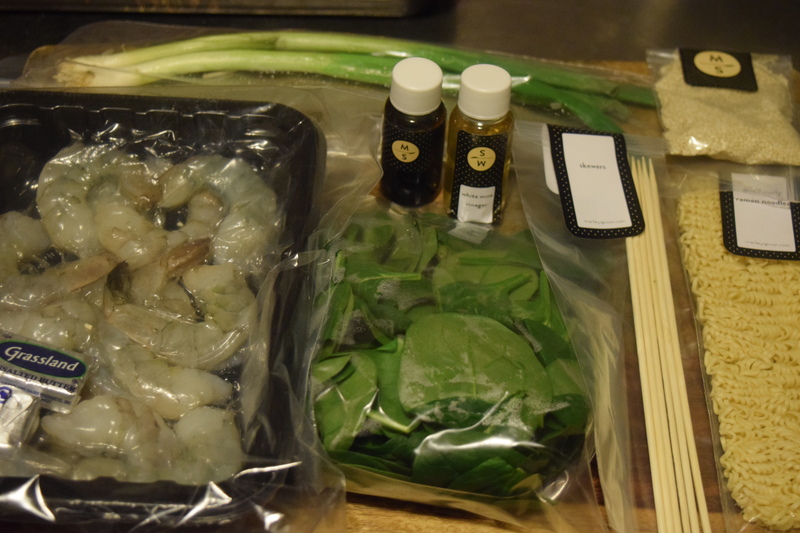 The shrimp dish really should have been a “one pan” deal. 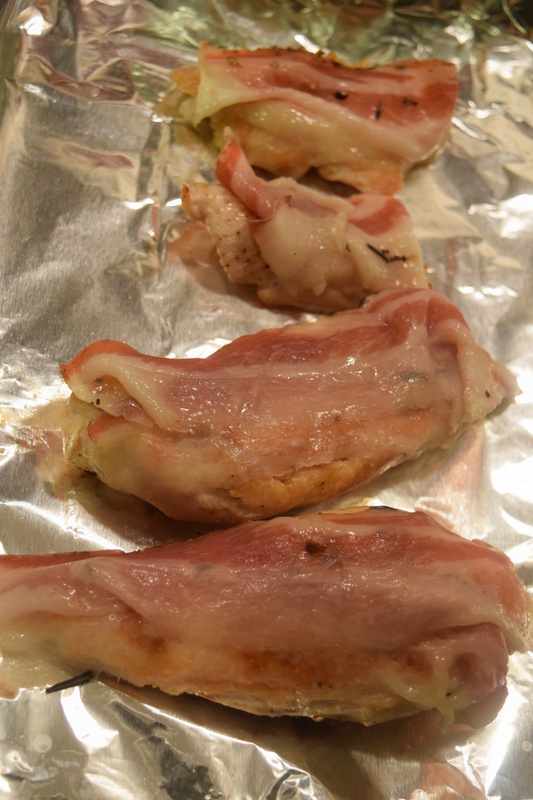 And I agree that it would have made a lot more sense to flavor the chicken with the garlic in sage, instead of just the oil!